Twelve birthday smiles from the birthday girl! Happy birthday to our favorite pigeon lover! Eleven years calls for a penguin party! Here there be dragons, but only the sweet ones! 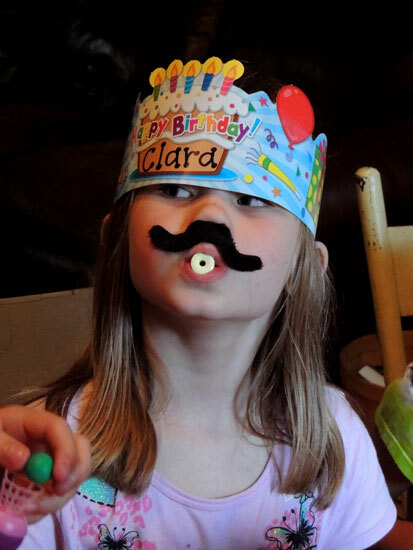 Kids turn seven all the time. Every day some kid, somewhere, turns seven. Happy Birthday to a most imaginative girl! 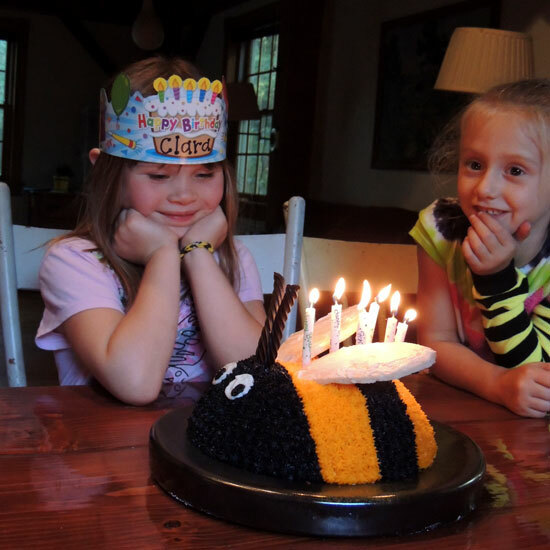 For months Clara has been telling me that she wants “everything bee” for her birthday.